If you’re really into exhaustive accounts of TV series, check out the very, very, very long Wikipedia entry on the show. Fred Silverman was a programming boss at ABC, CBS, and NBC at various times, and shaped our childhoods. John Belushi appeared as Fred Silverman on several episodes of Saturday Night Live. You can get Travis Pitts’ zombie-apocalypse (?) 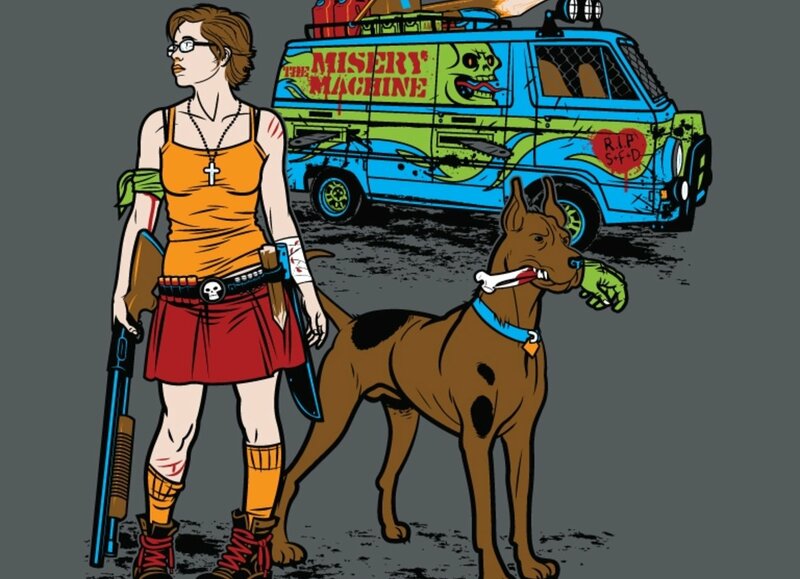 Velma and Scooby-Doo design on clothing via Threadless. Speed metal version of the Jabber Jaw theme song.